Sitting on a spacious terrace with your loved one or a large group of friends, sampling decadent beverages and nibbling on mouth-watering cheese and charcuterie as you drink in the views of the golden sun setting behind acres of exquisite vineyard. Wine-tasting is a truly opulent experience, and why not treat yourself to a trip to one of the world’s most flourishing wine regions? Nova Scotia, the South African Winelands, New Zealand, Southern Australia and California’s Napa Valley are well-known for their luscious wineries and vineyards. From the richest of reds to the freshest of whites, here we tell you why these regions have made a name for themselves as being some of the best destinations to order a glass of wine. Despite the tricky conditions not usually associated with successful wine making – including rocky, acidic soil and cooler temperatures – Nova Scotia is fast becoming one of the most celebrated wine locations in the world. Best known for its sumptuous white and sparkling wines, you’ll be surprised to know that Nova Scotia’s wine dates as far back as the 17th century, nowadays offering boutique wines made from lesser-known grapes including L’Acadie blanc, a white Canadian wine grape created in 1953. 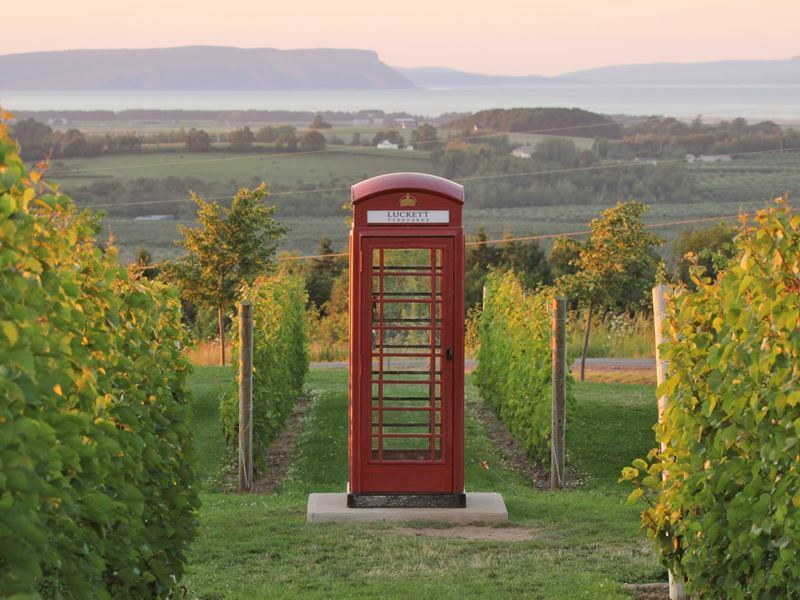 The wine capital, Wolfville, can be found just an hour away from Halifax, a quaint countryside town brimming with award-winning wineries. Just 3km south from here you’ll find Gaspereau Valley, characterised by its sweeping vineyards that spread for as far as the eye can see. One of our favourite hideouts is Luckett Vineyard, tucked away amongst dairy farms and fruit orchards and boasting a divine restaurant, too. Our Self-Drive Nova Scotia & Maritime Magic Treasures tour is a beautiful insight into the province’s rich maritime heritage and stunning coast. One of our favourite stop-offs is the jaw-dropping Cape Breton highlands, and though not officially included in the itinerary, we would recommend taking a detour to Eileanan Brèagha. The first and only estate winery on Cape Breton island, we can’t help but fall in love with the vistas over D’Or Lake, with the wine list offering a distinct flavour from the limestone and marble found in the vineyard’s soil. We have a fantastic guide for other amazing wineries located in Nova Scotia, so be sure to have a read for even more inspiration. 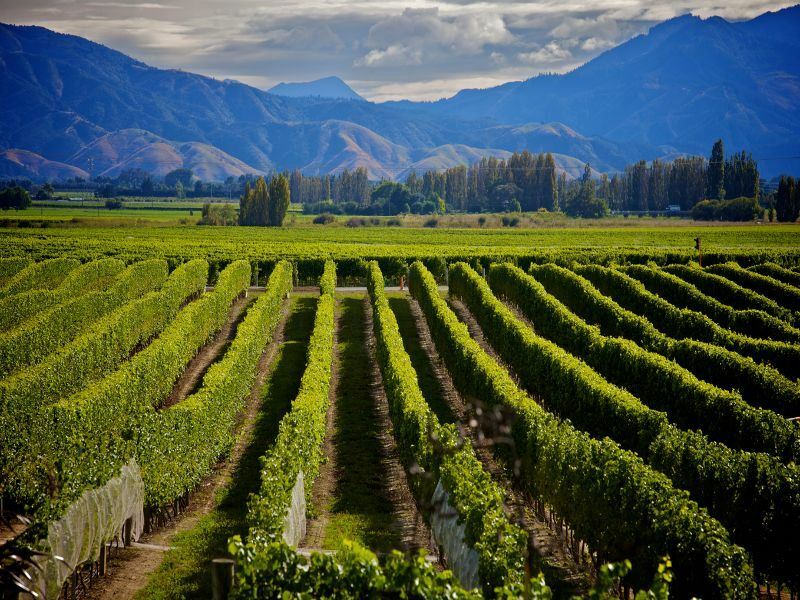 New Zealand benefits from well-established wine regions: Marlborough and Hawke’s Bay. The former is best known for its succulent Sauvignon Blanc, a wine that firmly put New Zealand on every budding sommelier’s map, whilst Hawke’s Bay is a trendy and widely popular food-and-drink hotspot. Whichever you choose to visit (or both, if you so desire), you’ll be treated to some of the finest wines in the world. Being New Zealand’s largest wine growing region means that Marlborough can offer you an incredibly diverse selection of red, white and even rosé wines. From delicate Riesling to velvety Chardonnay, each sip is infused with indulgent aromatics, and the assorted soils and climates that sweep across Marlborough’s sub-regions ensures that each and every winery brings new tastes and experiences. Of course, we’d recommend trying a glass of the famous Marlborough Sauvignon Blanc, whilst those who usually opt for a red would do well to try the exquisite Pinot Noir. Meanwhile, Hawke’s Bay is the oldest wine region in New Zealand, characterised by its utterly charming art deco architecture and dynamic foodie scene. 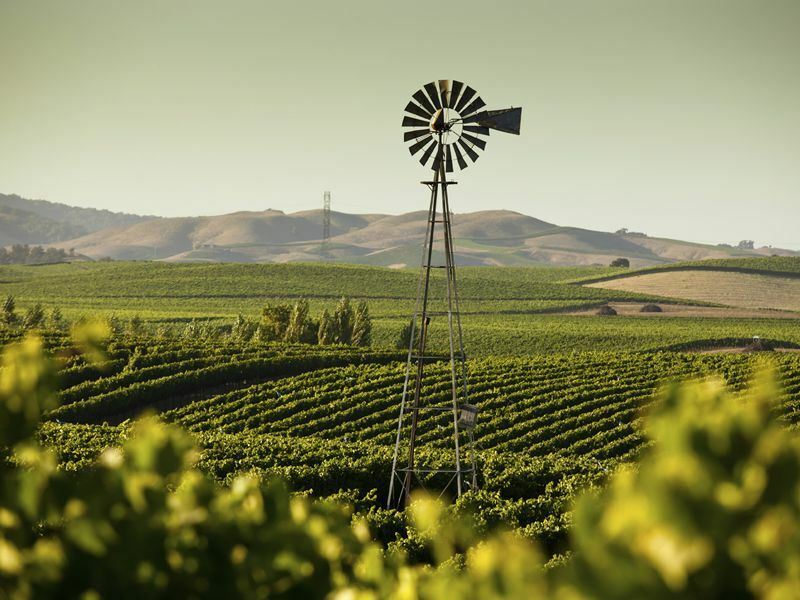 This is one of the country’s warmest and driest regions – the perfect climate for creating superb red wines, including Cabernet Sauvignon, Merlot and Syrah. Napier’s wicked buildings, stylish wineries and innovative restaurants makes this a cool spot to hang out – and you won’t be far from a glorious beach, either. We’d recommend hopping on one of the popular bicycle wine tours – a unique way to get around the city and soak in the fun vibes. Our Auckland to Christchurch Boutique Self-Drive offers a glimpse into New Zealand’s most beautiful regions, including Marlborough and Hawke’s Bay. With stays in local homes and boutique hotels, this tour is chilled yet exciting, stopping by Napier for a wine tour and to see the art deco buildings, as well as spending a day in Marlborough’s Blenheim. South Africa is home to another classic wine-tasting region – and it’s well-loved for a reason. Stretching from the Cape Overberg, through Little Karoo and all the way to the Northern Cape Province, South Africa’s Winelands are simply outstanding, offering a plethora of sun-kissed spots to wine taste and dine on fresh, Swahili style fare. 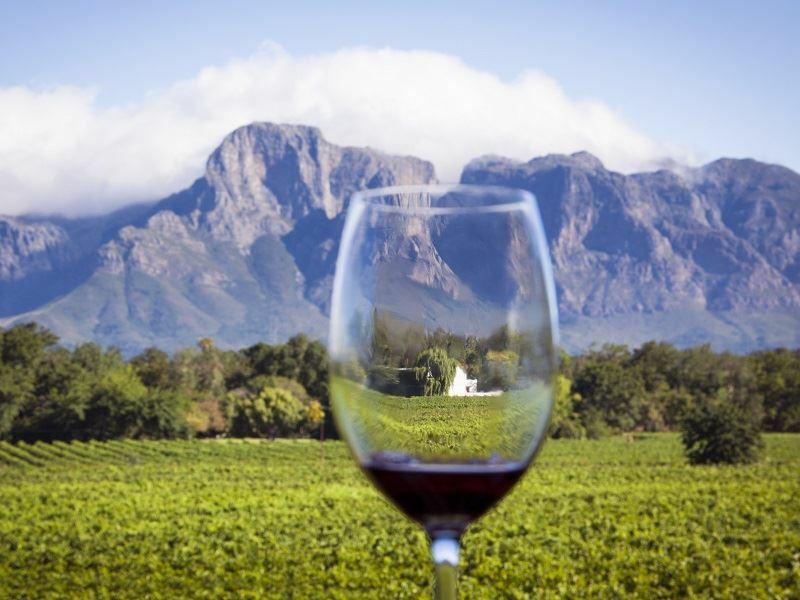 One of our favourite destinations for wine-tasting in the Winelands is Stellenbosch, a town that has become a firm favourite with the most experienced wine aficionados. Picture an afternoon of wine-tasting and we’re certain a relaxed few hours sitting on a beautiful terrace, sampling decadent wines and fragrant cheeses alongside endless views of sweeping vineyard is what comes to mind – and Stellenbosch certainly plays up to this ideal. You can spend your days tantalising your taste buds at luxurious wine-tasting venues and gourmet al-fresco restaurants, before walking off indulgent lunches and visiting the town’s striking boutiques and inviting art galleries. Craggy mountain ranges offer a unique backdrop too, only adding to Stellenbosch’s charm. Of course, South Africa is an incredibly diverse destination, and no holiday there would be complete without journeying to a few different locations. Our Luxury Cape Town, Winelands and Eastern Cape Safari Self-Drive combines the glorious Winelands with the vibrant streets and coastline of Cape Town, before moving on to Shamwari Game Reserve for a few days of exciting game drives and enjoying decadent sundowners in the bush. Napa Valley is certainly iconic when it comes to wine. Home to over 200 wineries, you won’t walk far without passing a verdant vineyard enticing you with its decadent wine menu and gourmet cuisine. 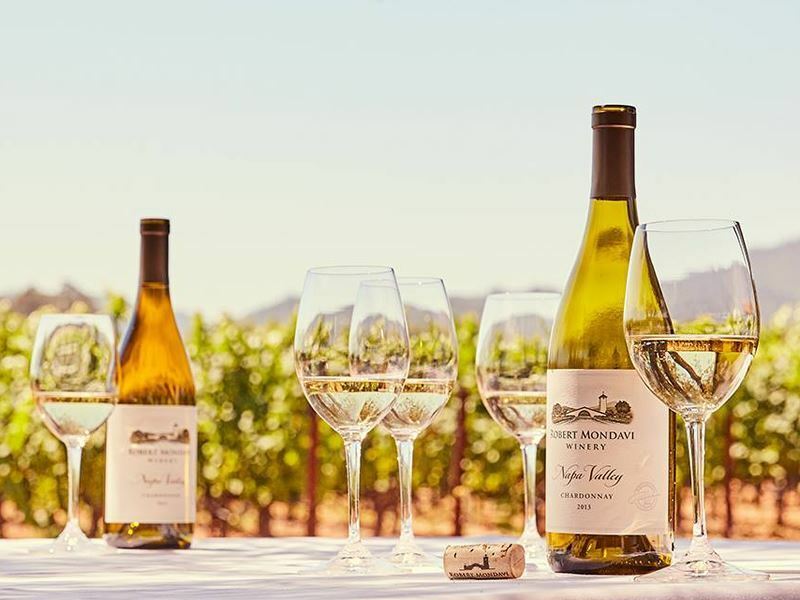 Thanks to its rolling hills, year-round sunshine and continuously warm temperature, Napa Valley offers the perfect climate for creating incredible wines. Alongside impressive wineries are restaurants full of local flair that beautifully complement the sumptuous array of wines on offer. Still retaining the laidback Californian lifestyle, Napa Valley is also a place of innovation and excitement, with plenty of daily wine tasting events, as well as the opportunity to make your own. Blend your own wine, bottle it, and even design your own label for a truly bespoke and unique experience, finishing the day with flavourful small plates out in the Californian sunshine. Take a look at our Napa Valley vineyards and wineries guide to find out our favourite hotspots for relaxing with a glass in hand. Our Enjoy San Francisco & the California Winelands tour is a fabulous way to relish this chilled pastime too, spending a few days exploring the hustle and bustle of vibrant San Francisco before escaping to Napa Valley’s quiet landscape of for an incredible ride on the Napa Valley Wine Train. With charming vintage railcars, this wonderful rail journey is renowned for its impeccable cuisine and service, paired with a prolific wine selection as you gaze at the stunning countryside. There’s a day spent in Sonoma Valley too, enjoying a leisurely walking trail that saunters past divine cheese shops and wineries. With a reputation as Australia’s wine capital, sun-soaked South Australia is the place to be should you fancy spending leisurely afternoons sipping crisp white wines. 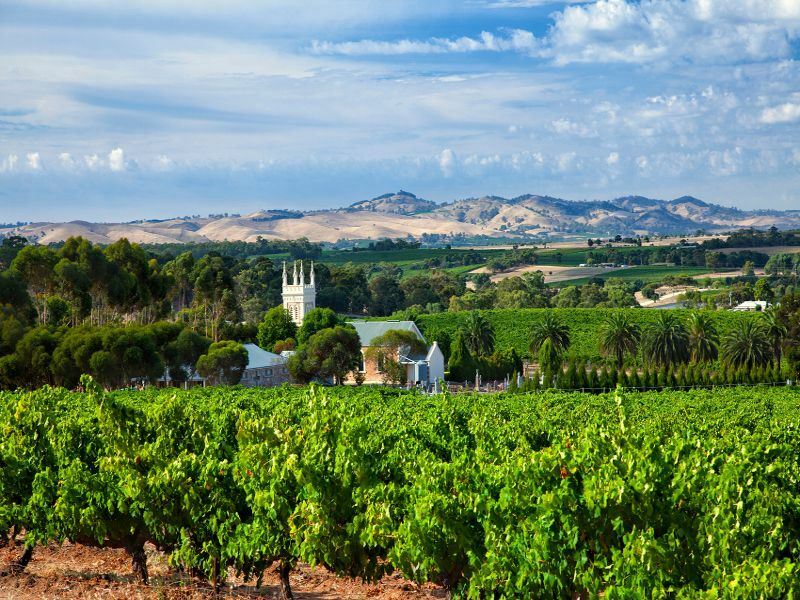 You’ll have heard of Barossa, a popular wine region best known for its unbeatable Cabernets and Shiraz’s, created in extensive vineyards that bask in the warm Mediterranean climate. But there are even more amazing locations you should visit in order to sneak a taste of every flavour South Australia has to offer. Australia’s grapes benefit from slightly cooler temperatures too, including those used in Adelaide Hill’s 60+ wineries. With a cellar door on almost every corner, Adelaide Hills has a trendy ambience, with plenty of al-fresco areas to drink and chat with a gaggle of friends. Leave Adelaide and you’ll soon find McLaren Vale, a stunning paradise of rich greenery and quiet wineries for that more exclusive experience. There are plenty of one-of-a-kind boutique venues here, too. If a glass of red is more your forte, we’d suggest travelling to Coonawarra – with wines sourced from deep red terra rossa soil, every sip is rich in flavour. Who could resist South Australia’s world-class Shiraz, Grenache, Chardonnay and Cabernet Sauvignon? If the thought of heavenly wines gets your mouth watering, you’ll love embarking on a Maui Motorhome Winery Havens tour. Driving between wonderful wine regions in a luxurious motorhome is a truly relaxed way to explore, and your trip can be completely tailor-made to your desires, too.